Belgian colonialism was largely paternalistic. The Congolese were considered as children who in a harsh but righteous manner had to be taught to be civilised. 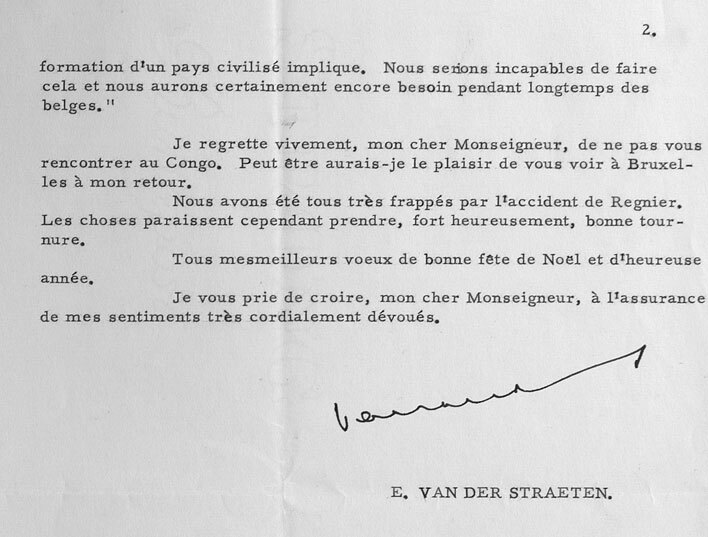 "We would be incapable to do this and we will certainly still need the Belgians for a long time", said one évolué in talks with E. van der Straeten, high-ranking person within the colonial economic establishment. Received letter, 1958.